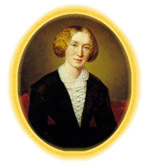 Hardy was both surprised and offended by the comparisons made between Far from the Madding Crowd (1874) and the novels of George Eliot; indeed, several critics went so far as to ascribe this new work to the acknowledged master in a complimentary manner but this failed to placate the aspiring newcomer. But most galling of all was the response it elicited from Henry James. From the very beginning, James took exception to the formal technique adopted by the writer who would become his greatest rival. He offered the most acerbic and derogatory commentary when he defined Hardy's first major success as a sorry and 'curious imitation of something better',' that is, of a work of Eliot's. That Hardy was familiar with the work of such an established literary authority as Eliot is certain, though his references to her are few and far between. That he was conscious of the influence she exerted upon his own ideas is more questionable. One thing, however, needs to be emphasized: in no way did Hardy wish to emulate Eliot and actively assumed a position in direct opposition to the realistic creed that both she and James championed. Yet there are two episodes in Far from the Madding Crowd which possess a remarkable correspondence to two Eliotean equivalents, while at the same time maintaining their own individuality and integrity. The first is the similarity between Bathsheba's self-adoration in her hand-mirror and Hetty's own ritualized narcissism, also focusing on a hand-mirror, in Adam Bede (1859). The second is the resemblance between the awful retinal scorching undergone by Boldwood subsequent to his reception of the valentine and that experienced by Dorothea during her honeymoon in Middlemarch (1872). In each instance a profound moral thesis is at work that may, for both artists, discover its origin in a thinker whose theories were admired by both. Ruskin's 'moral retina, by which, and on which, our informing thoughts are concentrated and represented',3 provides the common focus, though Hardy and Eliot responded to this concept in different ways. The movement towards a moral theory of perception was best demonstrated by the response Ruskin's Modern Painters elicited, the early volumes of 1843 (I) and 1846 (I1) in particular exerting a formative influence on current realistic ideology. Eliot's positive critique of volume Ill, which appeared in the Westminster Review in 1856, generated such a radical reformation of her thoughts that it precluded a repetition of the uncompromising programmatic realism followed in Scenes of Clerical Life. What Eliot found particularly attractive was Ruskin's contention that before the truth could be looked into, mirror-like, nature had to be studied closely; there could be no recourse to simple, unmediated reproduction. He demanded an 'earnest mental study ... which [could] interpret all that is written upon ... and within' (Works, IV, 187) the scrutinized object, and his insistence on the immanence of the ideal within the real pointed the way to reproducing the observed, substantial fact while simultaneously investing it with moral depth.